Last spring, I had the opportunity to teach one of my dream units: Light and Waves. We completed three projects during this time: camera obsuras, cajon drums and a pinhole camera. 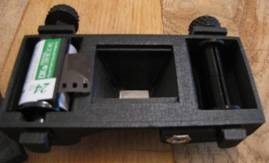 This 3D-printed pinhole camera combines three centuries worth of cutting edge technology. First, the body follows the basic design of a camera obscura and all early photographic cameras. 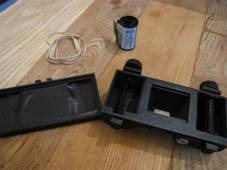 The body consists of a dark chamber (in this case, in the shape of a 1930s film camera) with a small hole on one end. This basic body design was introduced early on in photography and has been refined ever since. Photographic film has a somewhat shorter history, have first been popularized in the late 1880s by some guy named Eastman and improved upon by this other guy named Kodak. 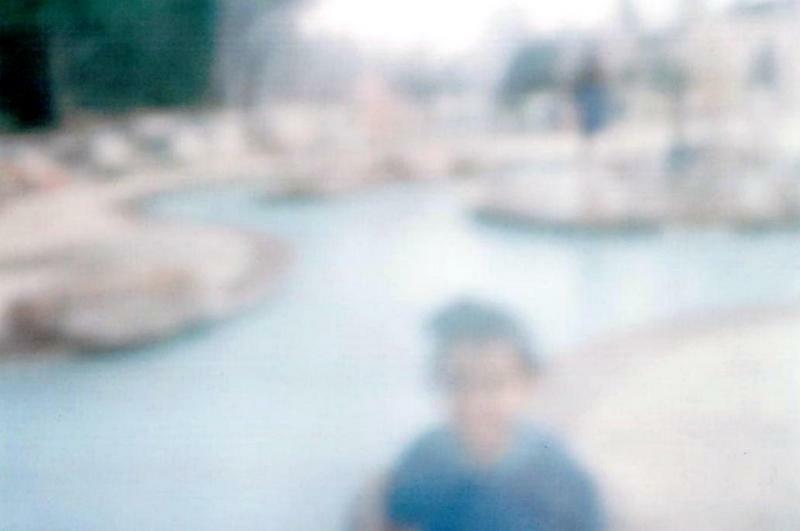 Photographic film consists of multiple layers of light-sensitive chemicals coated in plastics. Think of a very thin, very chemically sandwich, with your fillings being the chemicals and your bread as the plastic. When light passes through the film, it activates changes in the chemicals. Processing the film fixes these changes as images and allows us to transfer the images to paper. For this camera, we use 35mm film, first introduced in the 1930’s. Lastly, we use 3D-printing, a 21st-century manufacturing process to create the body of the camera. This particular design can be found at www.thingiverse.com, a fantastic for ready-to-print models. Not every model is perfect, but most are ready to go. Assembly of this particular model is pretty straightforward. 1. Print the design (use rafts if necessary) and attach the front and back halves together. I used rubber bands to hold everything tight. 2. On the inside, I installed the winding mechanisms with a little trial and error. 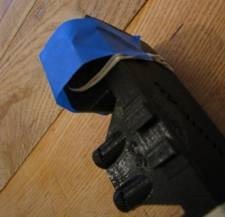 Depending on your printer’s accuracy, some parts might not fit, so small files and pieces of sandpaper help immensely with fitting. 3. Cut a small piece of sheet metal with thick scissors and pierce with a small radius pin in a drill. I used galvanized metal flashing from Home Depot left from previous projects, but soda cans work well too. The smaller your hole, the better quality the picture. 4. 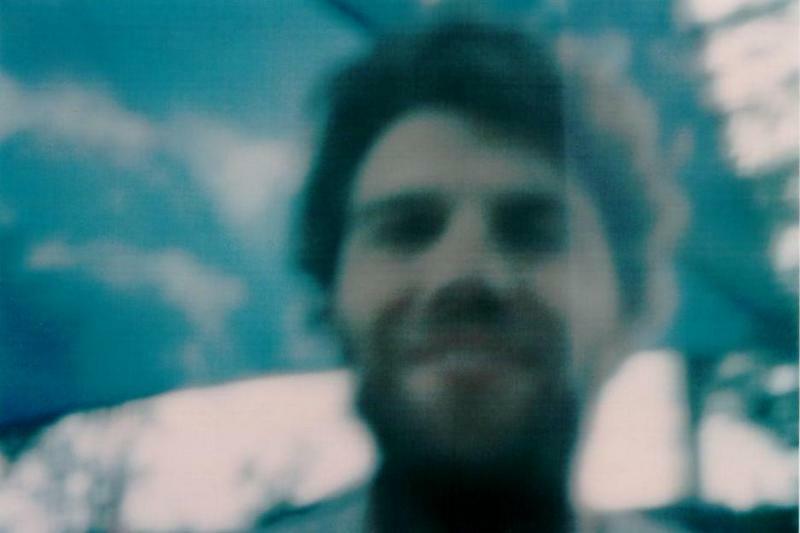 Glue the pinhole to the front of the camera. Cover with electrical tape. 5. 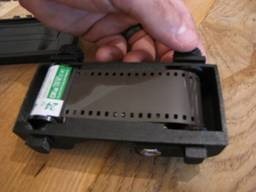 Load up with 35mm film by threading the film tape through the slot. Make sure the brown side of the film faces the front. Close up the system, making sure the film stays attached in the winder. Wind the system by about three cranks. 6. Take pictures. 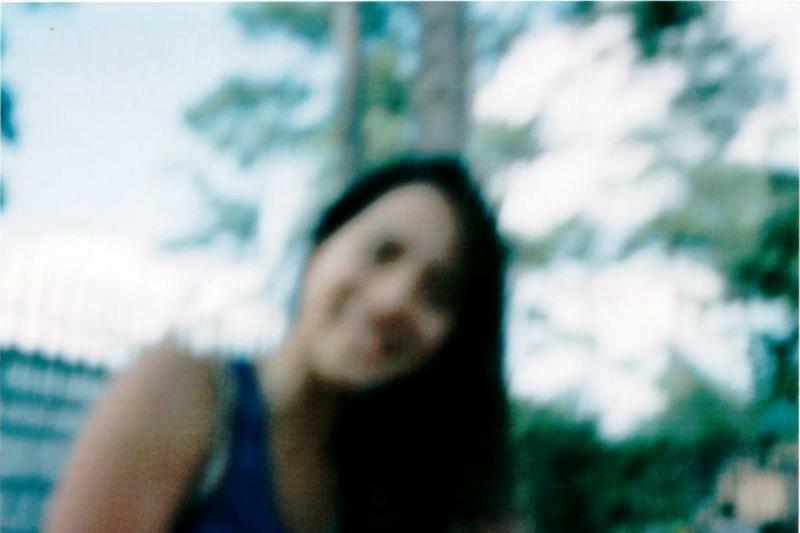 You take a picture by taking off the tape covering the pinhole (aperture), then replacing the tape. 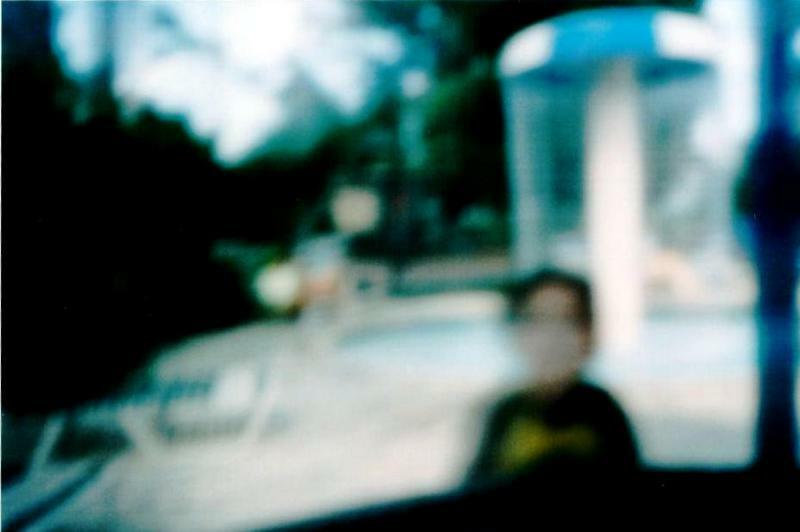 Outside, your exposure (the time the film will be exposed to light) is about a second in bright light. Inside, this increases to five to seven seconds. 7. Wind up the film about two cranks after every picture. Do NOT let the system unravel. I used a piece of duct tape across the knob to keep everything tight. 8. Once you run out of film one way, rewind the film. Remove the canister. 9. Develop your film. There are a couple places that still do regular film. As of now, Walgreens still develops 35mm film. Look around for your source.